Eyeballs is excited to be part of The Warm Up Project. 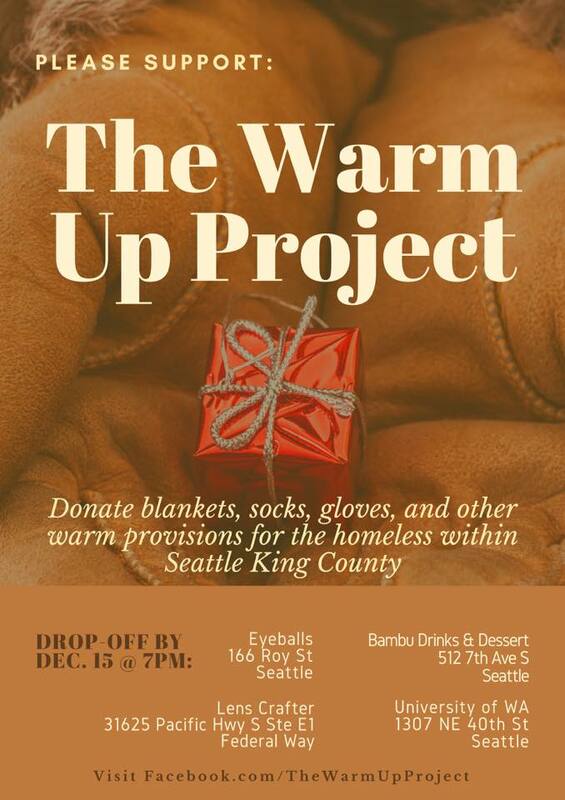 We will be collecting blankets, socks, gloves, hats, and other warm provisions for the homeless within King County. Please donate or volunteer for this amazing project. For donations dropped off at our office, you will receive a $20 eyewear credit to go towards your next pair of eyeglasses! There’s no better time to give!